The anconeus muscle is a synergist of the triceps brachii and can give you elbow pain if you overwork it. If this muscle of yours contains a trigger point, it most certainly will give you pain right at and above your elbow as you can see in the picture below. This way it can contribute to tennis elbow pain. If your anconeus is troubling you, you might not be able to extend your elbow properly without being in pain. Of course, this also means that any forceful pressing or extending action might be impaired due to pain in the elbow. The anconeus runs low from the outside of the upper arm/humerus to the olecranon, which is the bony and peaky landmark at the back of your elbow. 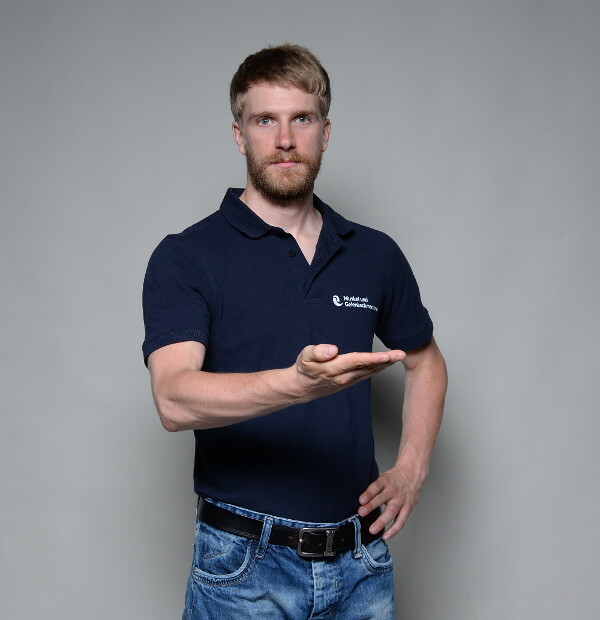 … furthermore helps to pronate the forearm, wich is the act making your palm facing downwards. The anconeus gets overworked and develops trigger points by the same activities as the triceps brachii – e.g lots of elbow extension –. The repetitive extensions of your elbow, that are too much for you will be an individual matter and dependent on many factors like training status, diet and the state of your nervous system. In general, the same activities that can overwork the triceps are relevant here too. In sports, this may be exercises like the bench press, dips or swimming. However, activities which do not seem damaging at the time may be too stressful for a particular individual. This could be something like pressing down a piece of wood on a bench to stabilize it, so that your partner can cut it, or holding a heavy drill in order to place a bolt in rock or dense wood. Finding the anconeus is not too difficult. First, hold your arm across your chest, then straighten it. Feel the tendon of your triceps running to your olecranon. Then move one finger a little to the side and down to your forearm. Do the extension again and again and search for this little muscle, which will be tensed. It is a small one and to feel it, you really have to locate it accurately. For this one, use your fingers for massage. A massage ball might already be too big and thus will not get on the muscle properly but your fingers will be just fine. Grab around your arm, with your thumb in your elbow crease and your first one or two fingers on the anconeus. You do not have to search for tender spots here. The muscle is so small that there is not a lot of area to cover. Either there are tender spots or there are not. Press in the muscle and then make it move by extending and flexing your elbow. Press in the muscle and massage it with short strokes.